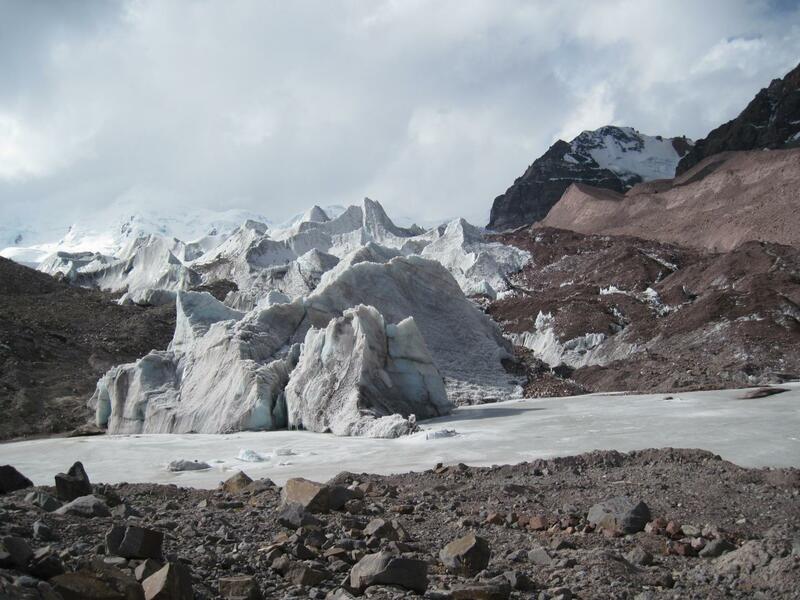 Glacial retreat in cold, high-altitude ecosystems exposes environments that are extremely sensitive to phosphorus input, new University of Colorado Boulder-led research shows. The finding upends previous ecological assumptions, helps scientists understand plant and microbe responses to climate change and could expand scientists' understanding of the limits to life on Earth. The study, which was recently published in the journal Science Advances, found that even in mountainous terrain above 17,000 feet above sea level, where soils freeze every night of the year, the addition of phosphorus resulted in rapid growth of plants and photosynthetic microbes, allowing them to overcome the chilly, arid climate. "Life is more resourceful than we might have previously suspected," said Steven Schmidt, a professor in CU Boulder's Department of Ecology and Evolutionary Biology (EBIO) and a co-author of the research. "Phosphorus allows microbes to react quickly and grow in these sites." Nitrogen and phosphorus are both essential nutrients for vegetation and microbes, but plants are slower to re-grow in dry, high-elevation sites than in wet, temperate areas. Based on classical experiments, researchers had suspected that this sluggish regeneration was primarily due to the harsh climate and the relative lack of the nitrogen, limiting the potential for organic life. "The thought has always been that nitrogen is most important to these newly-uncovered soils," said John Darcy, a post-doctoral researcher at the University of Hawaii who co-authored the study while at CU Boulder. "But previous research has been concentrated in coastal and island landscapes. No one had looked at these cold, dry high-altitude systems before." Researchers from CU Boulder, Duke University, the University of Montana and the University of Minnesota drew upon six years' worth of field data from arid sites in the central Alaska Range and the Andes Mountains of southern Peru. Both areas have experienced significant glacial retreat in recent decades due to climate change. Post-glacial landscapes have been observed to remain largely un-vegetated for up to 150 years, leaving behind expanses of potentially unstable lakes and land that could result in floods, mudslides and potential water shortages. The previously unappreciated importance of phosphorus for vegetation and microbes adds new context to long-held ecological theories and could inform future astrobiology studies as well as further research into agricultural runoff pollution. "We're expanding the boundaries of what we know about the limits to life on Earth," Schmidt said. Additional study co-authors include Joey Knelman of CU Boulder's Institute for Arctic and Alpine Research (INSTAAR); Cory Cleveland of the University of Montana; Sarah Castle of the University of Minnesota; and Diana Nemergut of Duke University. The National Science Foundation and the National Geographic Society provided funding for the research.